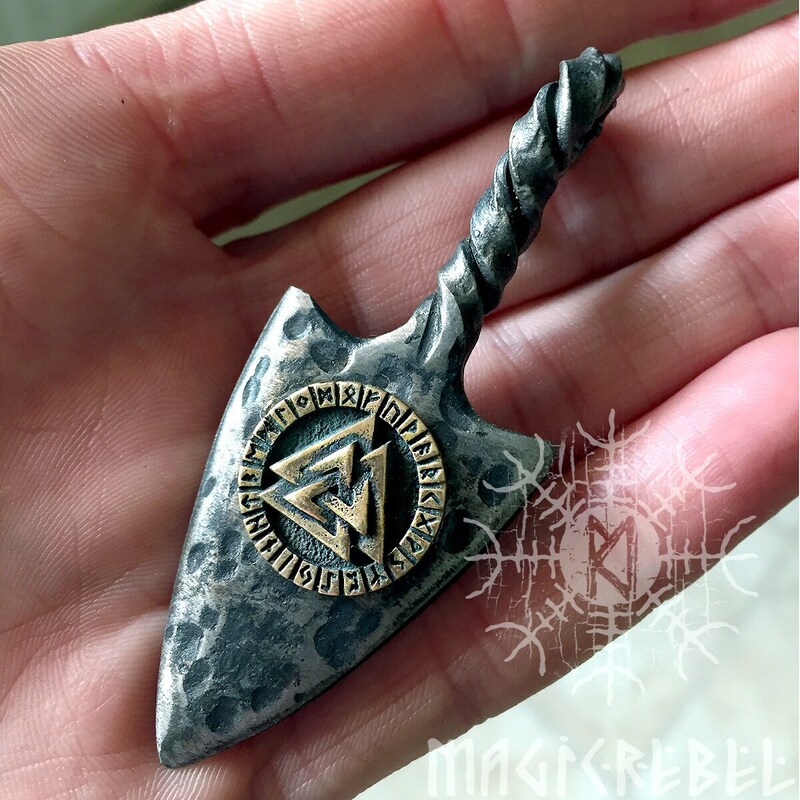 This is a forged iron handmade stylized Gungnir spearhead pendant with a bronze Valknut viking symbol in the middle with the Futhark alphabet around it. Style is unisex, looks good on both men and women. 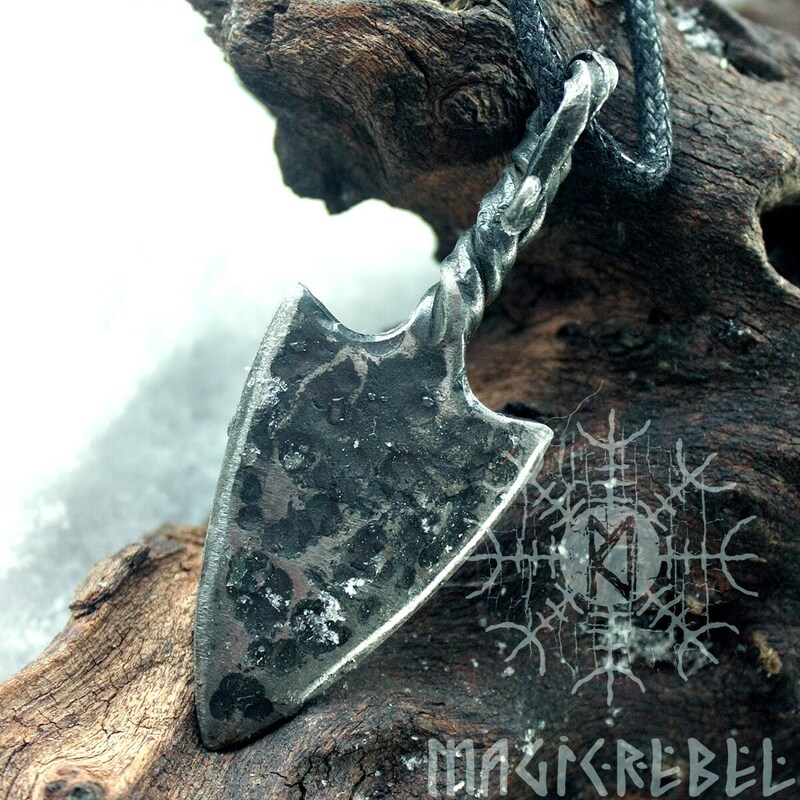 Size ► Pendant length is about 2.5" inches or 67 mm. Pendant is coated by a water resistant finish to protect from rusting and comes with a black cotton waxed cord. 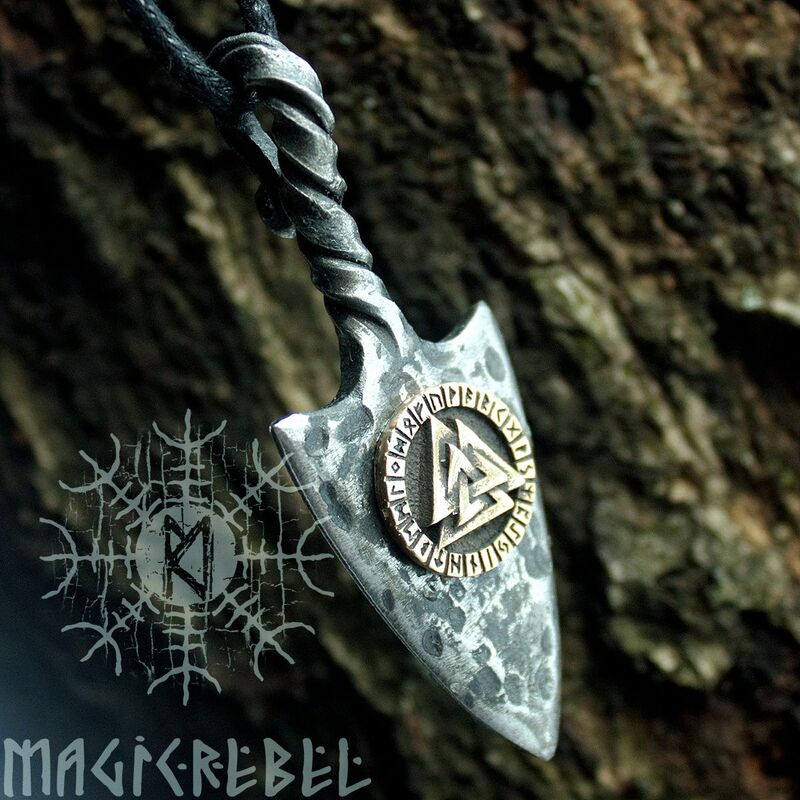 Meaning ► In Norse mythology, Gungnir (Old Norse "swaying one") is the spear of the god Odin. 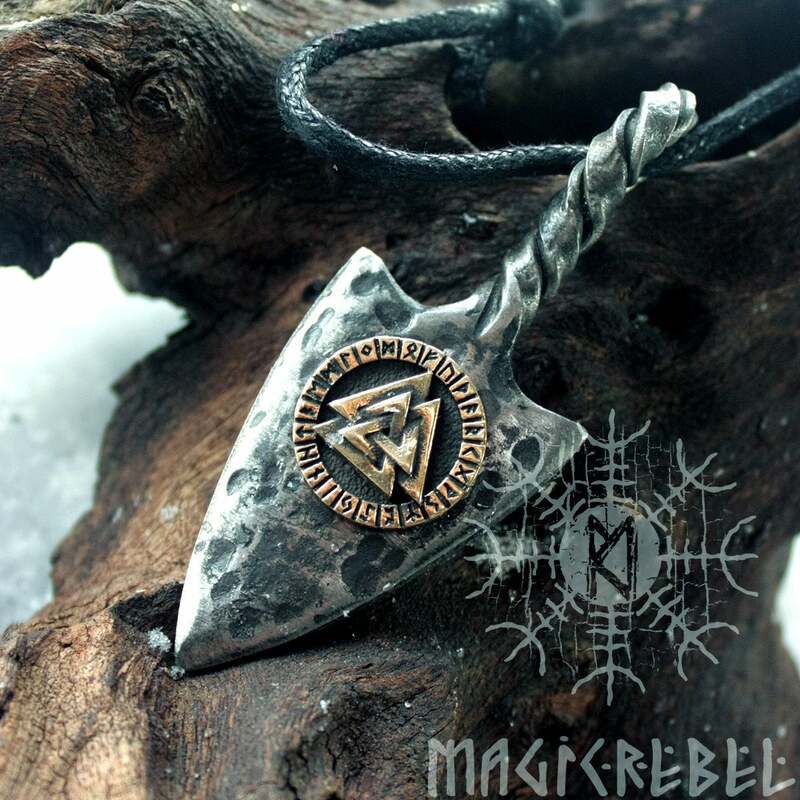 Gungnir is the weapon most consistently and powerfully associated with Odin. In the war between the two tribes of gods, Odin led the Aesir gods into battle against the Vanir. He began the battle by hurling his spear over the enemy host and crying, “Óðinn á yðr alla!” (“Odin owns all of you!”). Likewise, when Odin sacrificed himself to himself in order to discover the runes, he simultaneously stabbed himself with Gungnir and hanged himself. Futhark, or runic alphabet, goes around the Valknut. 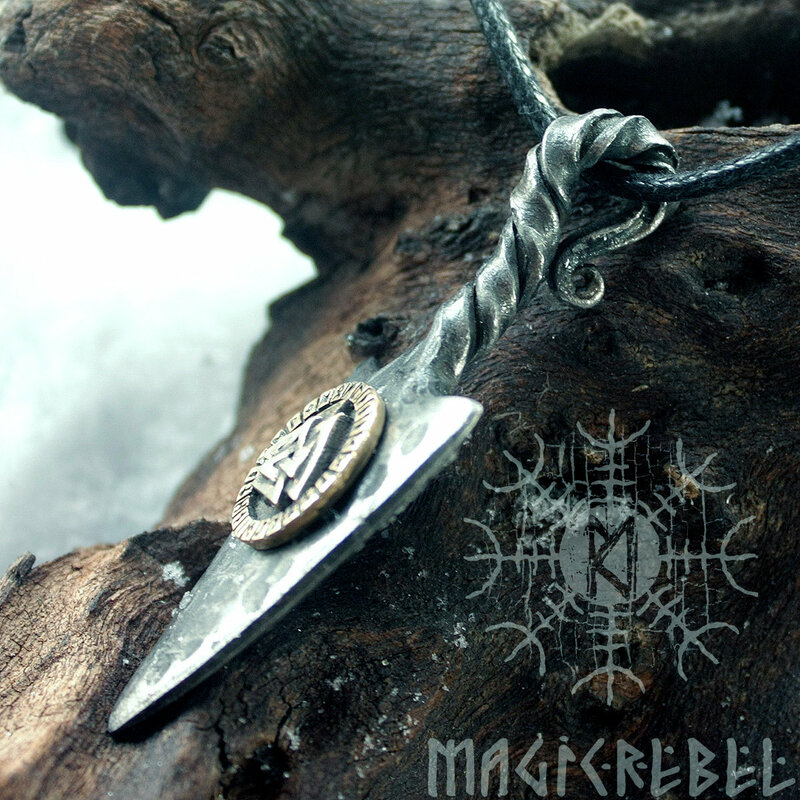 The runic alphabet is a collection of magical symbols. The runes have names, phonetic and magical meanings. Important note ► This is a handmade item and each one looks slightly different. Some details such as the shape, size and texture may not look exactly the same as pictured.